Direction to Carrie Hall (15 Francis Street): Carrie Hall is located at 15 Francis Street. Upon entering at 15 Francis Street, you will notice a Guard Desk and a hallway on your left and right. Go right, down the hallway until you come to a conference room which is Carrie Hall. As a part of our Open Call for Sessions, Demos, or Ideas for Discover Brigham 2019, the Brigham Research Institute (BRI) will have tables set up next week for anyone interested in being a part of Discover Brigham. There will be a table in the Mezzanine (2nd floor, 75 Francis Street) near the Gift Shop and coffee and bagels will be served. We hope to see you there! Click HERE for more info about open call. The Brigham Digital Innovation Hub, drives cutting-edge innovation within our institution and with external collaborators. The iHub-led Digital Health Innovation Guide (DHIG) creates a fast lane for innovators and disruptors to meet the necessary guidelines to accelerate the implementation and evaluation of digital health pilots. The DHIG toolkit enables innovators to predict and navigate the complex institutional processes which can often hinder pilots at an academic medical center. As a part of our Open Call for Sessions, Demos, or Ideas for Discover Brigham 2019, the Brigham Research Institute (BRI) will have tables set up next week for anyone interested in being a part of Discover Brigham. There will be a table in the Hale Café Atrium (1st Floor, 60 Fenwood Road) on Monday, February 4th from 2:00 – 4:00pm, as well as in the Elements Café space (1st floor, 77 Avenue Louis Pasteur) on Thursday, February 7th from 11:30 – 1:30pm. We hope to see you there! The Executive Committee of the Brigham Research Institute (BRI) would like to invite you to attend the Research Faculty and Trainee Luncheon from 12:00 – 1:00 PM on Tuesday, February 5th. Lunch will be served. Direction to Hale Café Atrium: Enter at 60 Fenwood Rd lobby. Take the S elevators to the 1st floor, and the atrium will be on your right. OR at the 60 Fenwood Rd lobby take the stairs up one flight to the 1st floor, and the open atrium will be on your left. The Cardiovascular, Diabetes and Metabolic Diseases Research Center cordially invites you to participate in the upcoming Hypoxia Research Symposium. The goal of this session is to bring together clinicians and researchers working on various topics related to hypoxia to encourage cross-collaborative research efforts and stimulate new ideas for further investigation. Are you a poster presenter at Hypoxia Symposium? We’ve put together some resources for you to use including logos, templates and resource guides about how to create the best poster for the Poster Session. Poster session will take place from 3:30 – 4:45 PM on January 25. Please note that the deadline for updating your poster file for display is Tuesday, January 22 at 5:00 PM. We highly recommend that you also bring your file on a flash drive on the day of in case something did not upload correctly. As you begin to create your digital poster presentation, please refer to the attached documents for instructions, templates and recommendations. Direction to the Zinner Breakout Room (via 70 Francis Street): The Zinner Breakout Room is located in the Carl J. and Ruth Shapiro Cardiovascular Center at 70 Francis Street, Boston, MA. Upon entering the building at the street level, walk straight towards the escalators in the rear of the building. The Zinner Conference Center is located on your right; the Breakout room is through the large doors on the left. Direction to the Shapiro Lounge (via 70 Francis Street): The Shapiro Lounge is located in the Carl J. and Ruth Shapiro Cardiovascular Center at 70 Francis Street, Boston, MA. Upon entering the building at the street level, walk straight towards the escalators in the rear of the building. The Shapiro Lounge is located at the rear of the building near the Q elevators. Wondering how to get funding and in-kind support for your research from drug and device companies? Come hear partnering execs from Bayer, Daiichi Sankyo, and J&J describe their academic collaboration programs at this expert panel and networking session sponsored by the Brigham Research Institute and MassBio! Direction to the Zinner Breakout Room (70 Francis Street): The Zinner Breakout Room is located in the Carl J. and Ruth Shapiro Cardiovascular Center at 70 Francis Street, Boston, MA. Upon entering the building at the street level, walk straight towards the escalators in the rear of the building. The Zinner Conference Center is located on your right; the Breakout room is through the large doors on the left. Advances in Clinical Research is a new seminar series that will highlight the clinical research being conducted at the Brigham. Researchers from the Channing, Pulmonary and Thoracic Surgery Divisions will present on topics such as new clinical trials, the development of new methods and the results from recent studies in addition to highlighting resources available to investigators. These seminars are intended for clinical researchers and trainees as well as clinicians, whose feedback and perspective will be greatly appreciated. The Executive Committee of the Brigham Research Institute (BRI) would like to invite you to attend the Research Faculty and Trainee Luncheon from 12:00 – 1:00 PM on Tuesday, January 15th. Lunch will be served. The Executive Committee of the Brigham Research Institute (BRI) would like to invite you to attend the Research Faculty and Trainee Luncheon from 12:00 – 1:00 PM on Tuesday, January 8th. Lunch will be served. The Executive Committee of the Brigham Research Institute (BRI) would like to invite you to attend the Research Faculty and Trainee Luncheon from 12:00 – 1:00 PM on Tuesday, December 11th. Lunch will be served. A large fraction of information in electronic medical records is “locked” in narrative documents, such as provider notes, radiology reports, etc. Natural language processing technology can be used to extract information from narrative documents. However, it remains underutilized, because in many cases natural language processing solutions require advanced computer science expertise and/or expensive commercial software. Canary is a free, open-source solution designed to solve this problem. It is a GUI-based platform that allows clinicians, researchers and analysts without computer science or software engineering background to develop their own natural language processing solutions. Canary has been downloaded in dozens of institutions around the world and has been successfully used in a number of projects. Dr. Turchin will describe Canary and illustrate how it can be used to obtain information from narrative documents you always wanted, but could not reach. An event to educate and inspire collaboration around innovative science, technology, and medicine at Brigham and Women’s Hospital. This event is free and open to the public – all are welcome to attend. Ever wonder how discoveries in BWH labs make their way to start-up companies? Want to learn how to move your idea forward? Join the Brigham Research Institute and MassBio for an expert panel and networking session to learn more! Jonathan is the Chief Executive Officer of Platelet BioGenesis and a lecturer at Harvard Medical School. Alex directs the Center for Clinical Spectroscopy in the BWH Department of Radiology, and is a co-founder of BrainSpec. Glenn is Market Sector Leader for Radiology, Anesthesiology, Neurology, Neurosurgery and Psychiatry at Partners Healthcare Innovation. 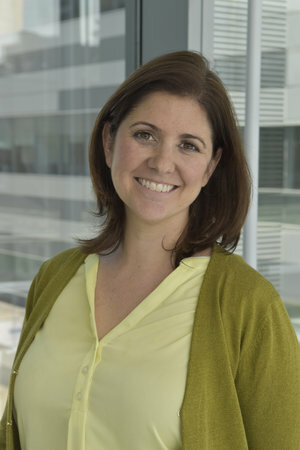 Lina is the Director of BWH Translational Accelerator at Brigham and Women’s Hospital. The 7th Annual BRIght Future Prize Competition features three compelling projects with the potential to solve vexing medical problems. The finalists, all BWH researchers and clinicians, were selcted through a rigourous two-step scientific review process. The BRIght Futures Prizes support investigators across the Brigham Research Institute (BRI) as they work to answer provocative questions or solve grand problems in medicine. Your vote will help decide which of these three projects will receive $100,000 towards their research. We will announce the winner at Discover Brigham, an event highlighting and celebrating research at Brigham and Women’s Hospital. Partners HealthCare Innovation is pleased to announce the Fall2018 call for pre-proposals (https://innovation.partners.org/about/special-programs) is now open for the Pfizer’s Centers for Therapeutic Innovation (CTI) program. Pfizer CTI program collaborates with leading academic medical centers, the NIH and foundations to speed the translation of novel targets to the clinic. We encourage PIs to discuss their ideas with Pfizer ahead of submission – please drop in to the Office Hours or contact Julian Peat at jpeat@partners.org to set up a conversation. Deadline for submission: Friday, November 2, 2018.